Take advantage of a great deal! 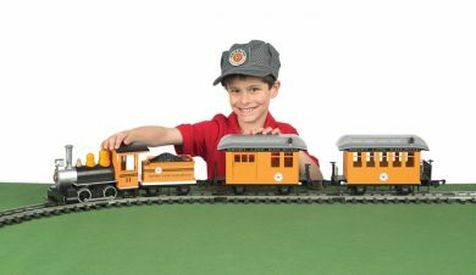 For a limited time, we're offering super low prices on Bachmann Lil' Big Hauler sets. Order while supplies last! The perfect introduction to the world of LGB! The set contains a Stainz 0-4-0T steam locomotive, a passenger coach and a gondola, perfect for running a miniature mixed train. A sticker sheet is provided for individual decoration. The layout is child's play to set up. It includes a circle of track, freight car load, quick connect cable, transformer and controller. 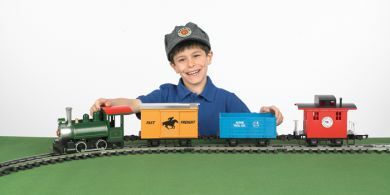 Order now, and you can get the Big Train Starter Set plus all of the items below for a great price! 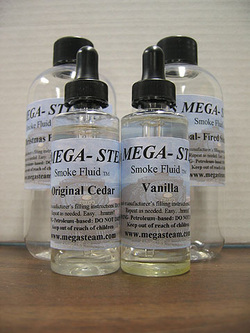 And we'll throw in two of these scents from JT's Mega-Steam! Make sure you note which two you'd like in the comments section of your order, and enjoy!